Note: This site is no longer updated, but please visit our new site: Freedom to Believe, for additional material. Thousands of people in the Caribbean have been subject to prosecution for their religious and spiritual healing practice, since the first law against obeah was passed in Jamaica during slavery, until the recent past. 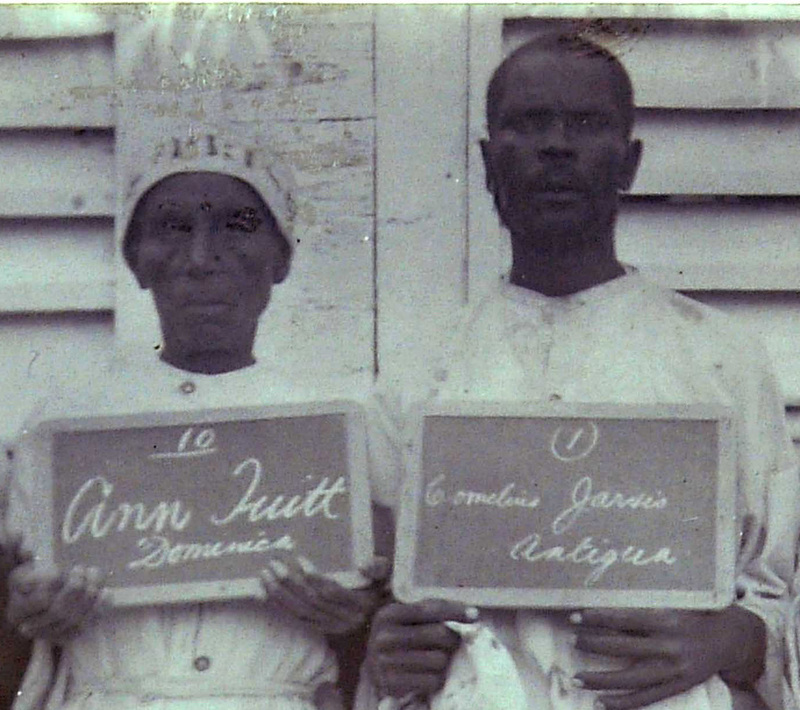 As well as the obeah laws, which still exist in many Caribbean countries, there have also been laws against specific religious groups, including the Spiritual Baptist faith, which was outlawed for a substantial part of the twentieth century in Trinidad and Tobago, St. Vincent, and Grenada. Other people faced prosecution for independent religious and healing work under laws against practicing medicine without a license, vagrancy, and ‘night noises’, among others. Although stories about some of these individuals have been passed down within families, there has been little memory of most of them. Painstaking work in newspapers and colonial archives, however, has revealed information about hundreds of people who were prosecuted for crimes relating to religion between the eighteenth and twentieth century. This website tells some of their stories, explains the legal context of the laws under which they were prosecuted, and directs interested readers to where they might find out more. Thank you for visiting. We welcome comments and feedback; please use the comments box below or on any of the pages, or use the contact us page. This is brilliant! Elegant, clean design – the pictures must have been difficult to get! Great website on a very important topic. Thanks for undertaking this. Might be a good idea to draw attention to some of the Law and Religion/religious liberty blogs/sites if you haven’t done so. Thanks for the comment. What are the sites that you’re referring to? I may add a ‘useful links’ page somewhere so it would be good to have some suggestions. Good initiative! I hope Guyanese scholars will participate! Although obeah was legalized in Guyana in the 1970’s the practice is still frowned upon even by people of African descent. Do u live in jamaica and it still ilegal? Hello Diana, your work on obeah has influenced my research greatly. I have just begun writing a dissertation project on literary representations of obeah. I would love to discuss my work with you further. If you have the time, and if the project interests you, you can get in touch with me through my webpage. Great! Thanks for publicising. I noticed your poster says autumn term 2017 on it though! While it might be good if I had a year to prepare I’m looking forward to seeing you sooner than that! Joan Cambridge’s comment reflects popular belief in Guyana, but as far as I can tell not only are the legal prohibitions against obeah still extant in Guyana, but penalties were increased when the summary offences laws were revised in 1989, 1997 and 1998.